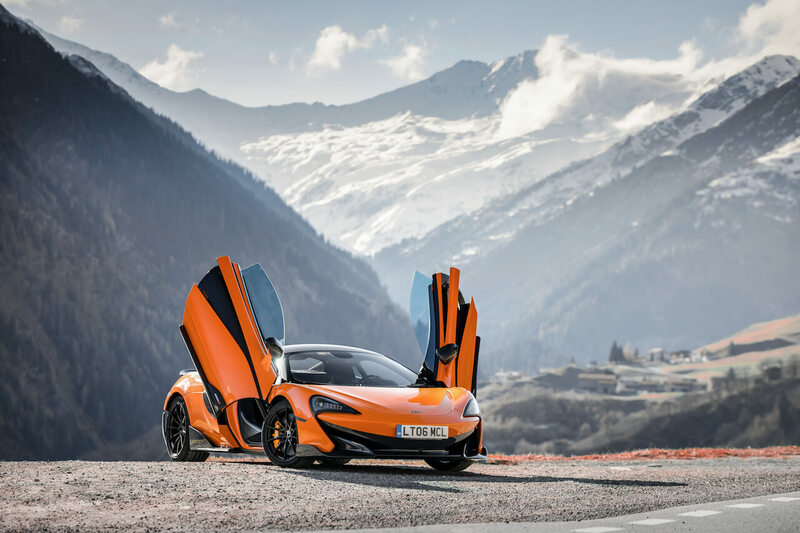 With the McLaren 600LT, the British manufacturer of super sports cars opens the fourth chapter of the McLaren ‘Longtail’ story. As always, McLaren’s mission is: lighter, stronger, faster and optimized aerodynamics. Anyone who has driven one or the other of the predecessor models will find it difficult to imagine how something like this can be implemented and will be surprised again and again: it is possible. My phone rings, at the other end my colleague asks me if I have time to bring the McLaren 600LT from Zurich to Geneva and test it for 3 days. 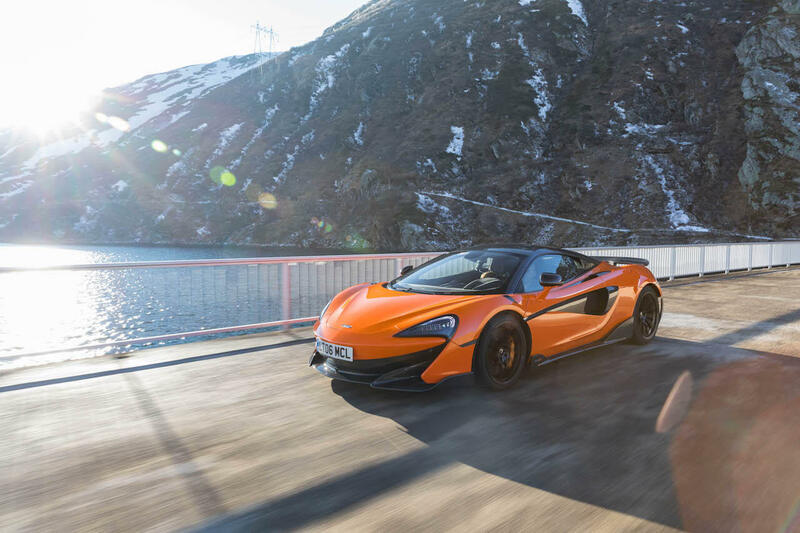 After I had thrown all my appointments overboard – because the strictly limited McLaren 600LT is not easy to get – I was looking forward to picking up the 600LT in the evening. 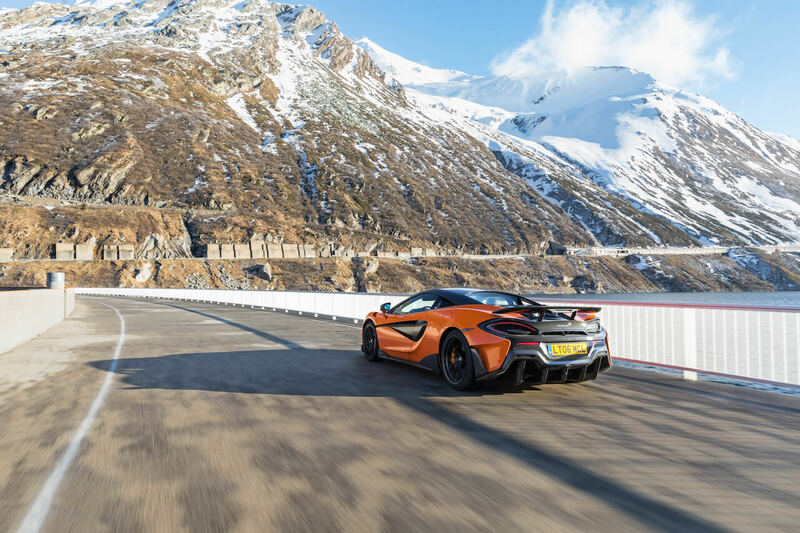 The Mclaren 600LT is the fourth and now most extreme road legal model of the Sports Series, a few changes stand out quickly: extended front splitter, an extended rear diffuser, fixed rear wing and the extended silhouette which is 74 mm longer compared to a McLaren 570S Coupé. The same 3.8-litre twin turbo V8 was installed, which now produces 600 hp and 620 NM. This shoots you within 2.9 seconds from 0-100km/h, 0-200km/h in only 8.2 seconds. The 100 Kg downforce at 250km/h ensures that it does not go directly with a rocket to the moon. Optics and numbers do not deceive, the new limited model has a road permission, but was developed with a focus on the racetrack. 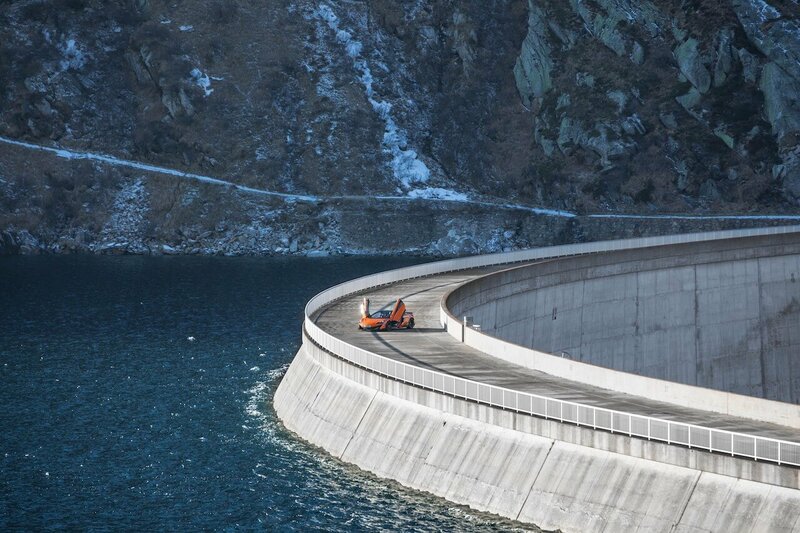 Brake boosters ensure precise response and phenomenal braking performance: 200 km/h to a standstill in just 117 metres. 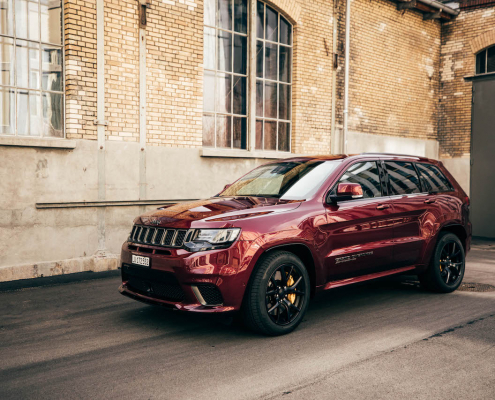 Compared to the other models of the Sports Series we are talking about a harder, tighter chassis, which may require a bit more skill to tame the power. The whole thing screams for a ride over the mountain pass, e.g. 21 kg are saved with super lightweight seats, which doesn’t necessarily make the 600LT a Grand Tourer. But one thing I can assure you: it is incredibly fast. I always have the feeling to feel new records in terms of performance – maybe it’s because my competitors simply can’t offer me this level of accuracy & power. All in all the McLaren 600LT is definitely more uncompromising, more brutal and for an inexperienced rider maybe a bit scary. 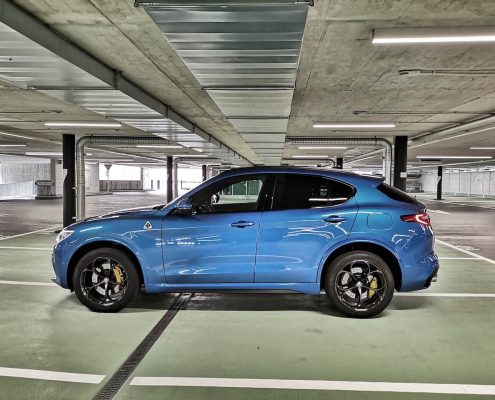 With the relatively cool temperatures in November, the rear end of the car can be felt from time to time – the traction control then takes you back to the track. For the autumn/winter season a lot of caution is required. 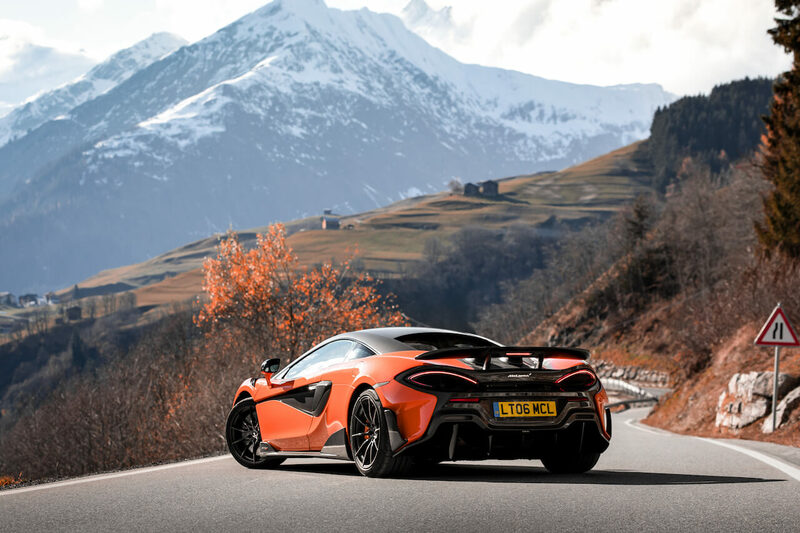 The 600LT can be recognized quickly by its top-exit exhaust system, which – inspired by the Senna – leads to an improvement in aerodynamic performance thanks to its unique sound. 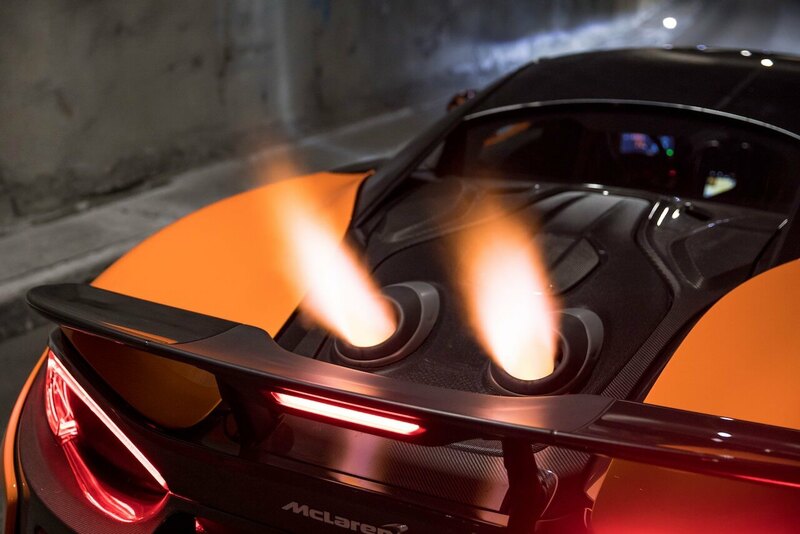 It’s especially fun in the tunnel, where you can see the flames of the tailpipes in the rearview mirror at full power – does it get any better?! As so often with a McLaren, it is impossible to stop in town or at the gas station without talking to various fans, onlookers or owners. McLaren has announced the 600LT Spider in the last days, we can hardly wait!